Evoking the idea of the traditional museum display case, The Cubic Museum is a performance installation that brings to life themes relating to the South Australian Museum’s world-renowned collection. Outstanding Adelaide-based choreographers Erin Fowler, Lewis Major and Jo Stone have been commissioned by Australian Dance Theatre to create live installation works that will be performed in a large Perspex cube that will be installed inside the Museum for the duration of the Festival. These ingenious choreographers will be given the rare opportunity to collaborate with the museum’s scientists and researchers, exploring ideas and concepts derived from the collection and archives. Come and check out this unique partnership between Australian Dance Theatre (ADT) and the South Australian Museum and discover the meeting point of art and science. 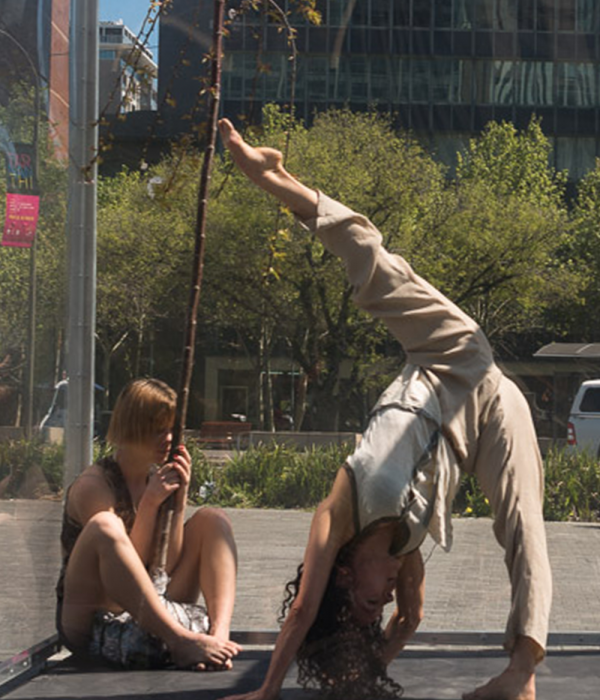 Free public performances will take place during the Adelaide Dance Festival. A unique collaboration between Australian Dance Theatre and the South Australian Museum. South Australian Museum and City of Adelaide.